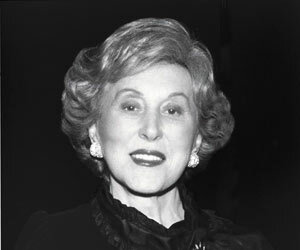 American woman entrepreneur Estée Lauder is widely known as the co-founder of the New York City based prestigious skincare, makeup, fragrance and hair care product company Estée Lauder. According to Wikinvest, as of 30th June 2012,the company’s total revenue exceeded the $9.70 billion mark with operating offices in more than 130 countries employing over 22,000 people. Estée Lauder was born in Corona, Queens in 1906 as Josephine Esther Mentzer to a Czechoslovak Jewish father, Max Mentzer and Hungarian Jewish mother Rose Schotz Rosenthal. She didn’t belong to a well-to-do family and from the very childhood she would spend hours at her father’s hardware shop where she learned the basics of business. Becoming successful actress was her childhood dream but she ended up founding one of the world’s most reputed cosmetic chains. While assisting her chemist uncle Dr John Schotz in his business and his New Way Laboratories, she became interested in the making of a variety of beauty products. 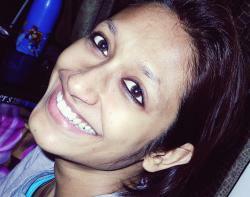 She learnt how to massage and wash face properly. On completion of her high school, she started spending time in her uncle’s business and began started selling beauty products in her friend circle. She met her future husband Joseph Lauter in her 20s and got married on January 15, 1930. In 1946 she and her husband Joseph Lauder established the cosmetic company in New York City with only four products: Creme Pack, Super-Rich All Purpose Creme, Skin Lotion and Cleansing Oil. Later, encouraged by massive response from customers, they established their first store by collaborating with Saks Fifth Avenue in New York. In less than a decade, the company stood itself as a reputed beauty care manufacturer. Estée Lauder died of cardiopulmonary arrest on 24 April, 2004 in her Manhattan home. She was in the list of the 20 most influential business geniuses of the 20th century of TIME magazine in 1998 and the nominee of the Presidential Medal of Freedom. In 1998, she was inducted to the Junior Achievement U.S. Business Hall of Fame.